Blue Ink Press, 9780996867351, 366pp. Hardy is beginning to expect the unexpected. He can see dead people, after all. But when the spinning wall of light opens up on the whiteboard on his first day of class at Ellery University, his worst nightmare becomes a reality--someone in his class is dying, and he's the only one who can do something about it. Then there's the girl with the red hair and striking green eyes. Emma. She's way out of Hardy's league, yet she's planted herself next to him in class. Was it just him, or did she feel the same strange connection between them? When students at EU start getting sick, fate quickly throws Hardy and Emma together, and they embark on a journey into Greene Island's past. 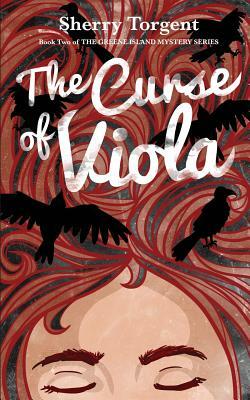 Has Viola returned, bringing her curse with her, or are there other dark forces at work? When long buried secrets are resurrected, Hardy and Emma will find themselves face-to-face with The Curse of Viola, and the consequences are more serious than either of them ever expected.